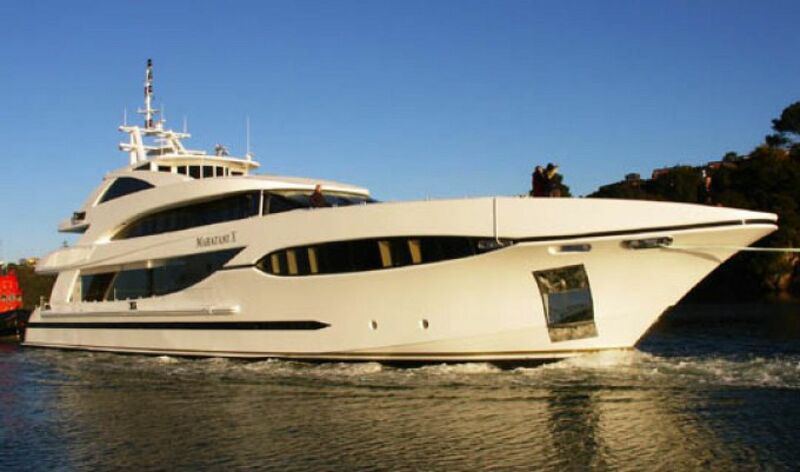 This stunning motor yacht built in Australia by Sensation Yachts is being offered for sale for the first time. Her sleek exterior and interior styling was created by Evan Marshall. Totally unique in her size range, Maritain X has a quadrupule deck configuration. This provides for a totally private master suite on the upper deck without losing the skylounge which is above. Six staterooms with large VIP stateroom forward on the main deck has a private home theatre on deck. She even has an elevator traveling three decks. Maratani X is powered by twin commercially rated Caterpillar diesels a cruising speed of 15 knots and a range of 2500 miles. She is offered for sale fully found for $19,000,000. For further details contact the central agent Bob Offer bob@lukebrown.com +1-954-801-8300.